One day at the dawn of humanity, a distant ancestor realized she could use a stick to dig up insects. That first tool, like all that followed, extended human biology. The bug-grubbing stick extended the hand and arm. Moving forward in time, the wheel extended the legs. Written language extended memory and speech. 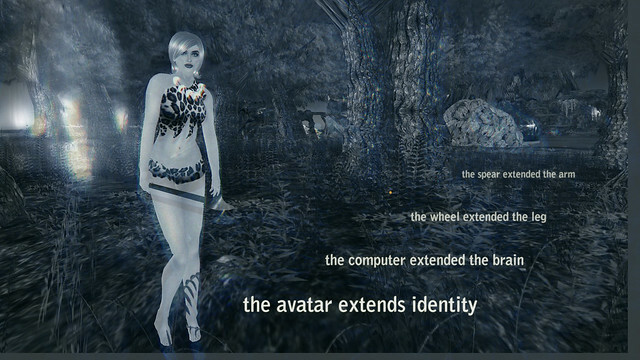 And today, avatars extend not just the body, but our identity. Wow - I'd say that is very accurate!